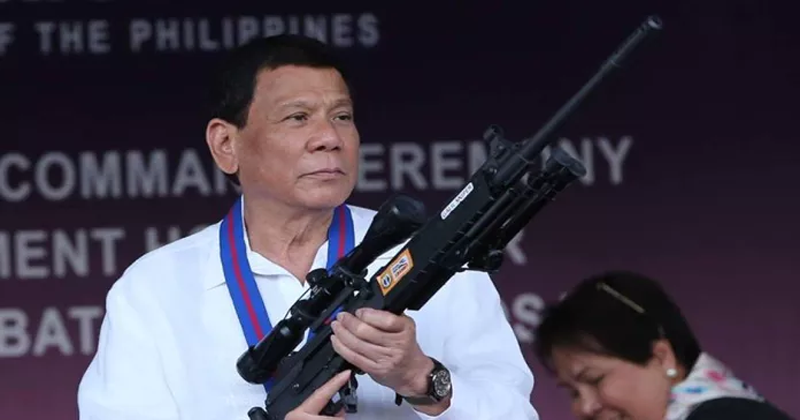 President Duterte to Sison: "Go home and go to war here"
President Rodrigo Duterte challenged anew Communist Party of the Philippines (CPP) founding chairman Jose Maria Sison to go back to the Philippines and wage his war in the country. Duterte slammed the communist leader for allegedly making up stories, but in reality, Sison has no capability which he can brag of. "He likes to make up stories so much but has no skill to boast of. But then he keeps on espousing revolution while he’s there in The Netherlands, not here. If you are the leader of a cause, go home and go to war here. Why don’t you just go home?" Duterte said in his speech Cagayan De Oro on Wednesday. "You would even brag. Ako? I have the Air Force. Airplanes? We have plenty. I have the Navy. Do you know how many ships I have? Ah mamili ka lang. Army? Ah susmaryosep. 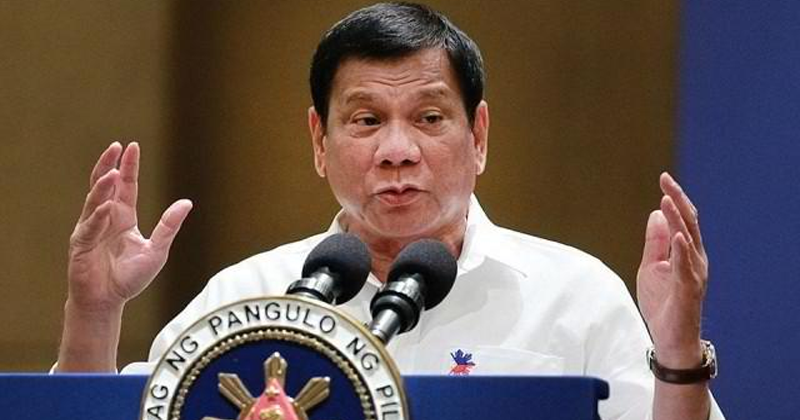 Navy, I have plenty of ships," Duterte added. Moreover, Duterte also criticized communists for believing in what Sison would always say, calling members of the New People's Army (NPA) as fools. "Why would you let yourself be fooled with that? Who is your God? Si Sison? All of your --- everything that you died for, the idea, your theology and politics, all of it came from Sison’s brain," Duterte said. "The style of the communists is they k**l their own comrades and blame it on the… The NPA are such fools. They haven’t done anything," he added. Duterte and Sison have traded barbs since peace negotiations between the government and communist rebels did not push through in November 2017 after the President lamented the continued attacks by the rebels on troops and civilians. The talks were supposed to resume in June in Norway but Duterte called it off to give way to public consultations and review of existing agreements. Earlier this week, Duterte dared Sison to give him a reason to go back to the peace negotiating table.